Ariana Grande Performs At 2014 Victoria’s Secret Fashion Show! – Pics Here! Ariana Grande was one among the four artists that took the stage to perform at the 2014 Victoria’s Secret Fashion held at Earl’s Court Exhibition in London, England. The show took place on December 2, 2014 but the show didn’t air until yesterday (December 9). Other performers included Taylor Swift, Ed Sheeran and Hozier. When it was Ariana’s turn, the singer performed “Love Me Harder,” “Bang, Bang,” Problem” and “Break Free.” Be sure to check out more pics of Ariana from her performance in the gallery below! 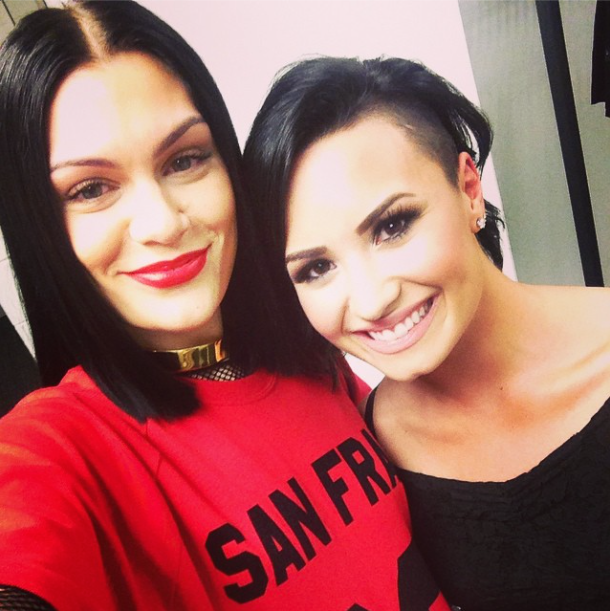 Demi Lovato Performs “Bang Bang” With Jessie J At 99.7 NOW!’s 2014 Triple Ho Show! – Watch Now! Be sure to check out their performance by watching it in the video below! 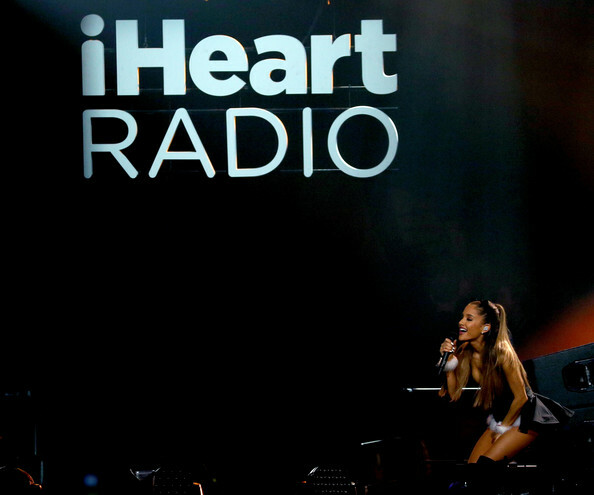 Ariana Grande Performing At VS Fashion Show — Photos Here!! Ariana Grande joined the Victoria Secret angels on this year’s runway. Today, December 2nd, was the filming for the show in London. Ariana performed on the runway along side some gorgeous angels when they were showing off the VS PINK collection. Other stars that performed included Taylor Swift and Ed Sheeran. 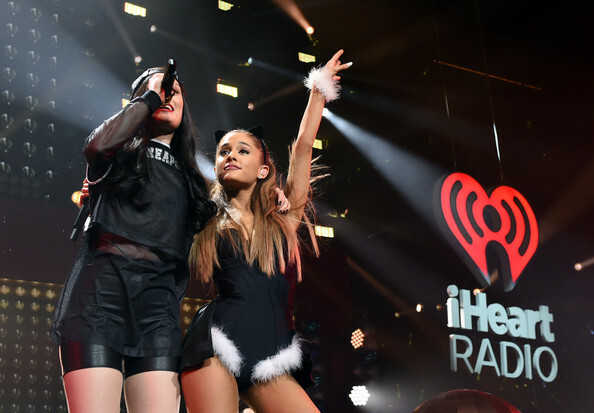 Be sure to check out photos from Ariana performing below and watch the performance on CBS, December 9th. 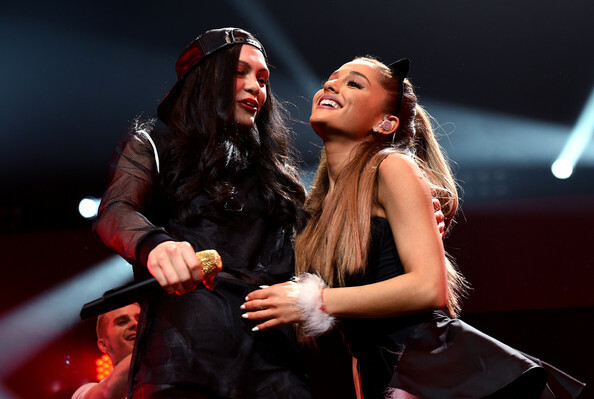 Ariana Grande Performs “Bang Bang” With Little Big Town At 2014 CMA Awards – Watch Here! Ariana Grande showed us just how amazing her vocals are during the 2014 Country Music Awards held last night (November 5) in Nashville, Tennessee. Ariana lit up the stage along with Little Big Town to perform Ariana’s hit single “Bang Bang.” Not only was the audience in for an amazing show but it was also Ariana’s debut CMA performance! In case you missed her performance from last night, be sure to check it out by watching the video below and let us know what you think by commenting! Ariana Grande Performs 3 Songs Live On ‘The X Factor Australia’ – Watch It Here! Be sure to check out Ariana’s three performances by watching the video below and let us know what you think by commenting! Taylor Swift spends another week on top of the charts, with her latest single “Shake It Off” staying at number 1. She fought off competition by Meghan Trainor with her song, “All About The Bass” and trio, Jessie J, Ariana Grande and Nicki Minaj’s single, “Bang Bang”. “Shake It Off” leads the Digital Songs chart for a second week with 355,000 downloads sold according to Nielsen SoundScan. It’s sold 899,000 in its first two weeks combined. Taylor was excited about the news and quickly tweeted saying, “When you’re so excited, all reason and grammar goes out the window. @scottborchetta @billboard“. She accompanied the picture below with the tweet. Watch the music video for “Shake It Off” below. Following her success of Yours Truly going to number 1, her new album, My Everything has also done the same. She has become the first woman to debut at No. 1 with her first two albums since 2010. It was last done by Susan Boyle who saw her first two albums go to No. 1. Boyle did it with I Dreamed a Dream (released in 2009) and The Gift (2010). My Everything has three singles that has reached the top ten including, “Problem”, “Break Free” and “Bang Bang”. Dating rumors have been flying around recently due to Ariana Grande and Big Sean holding hands at the VMA’s. After opening up for the big show, cameras caught the singer backstage holding hands with rumored boyfriend Big Sean. Although neither have denied or confirmed whether or not they’re an item, Ariana finally breaks her silence about their relationship status, sort of, in an interview with Ryan Seacrest.